Click the photos to view each of the animal-themed sun catchers up-close. DESCRIPTION: I designed this smiley frog as a reminder of the happy times I spend on the lake watching them sit sunning on lily pads. Using a green mottled glass the random spots portray real frogs. 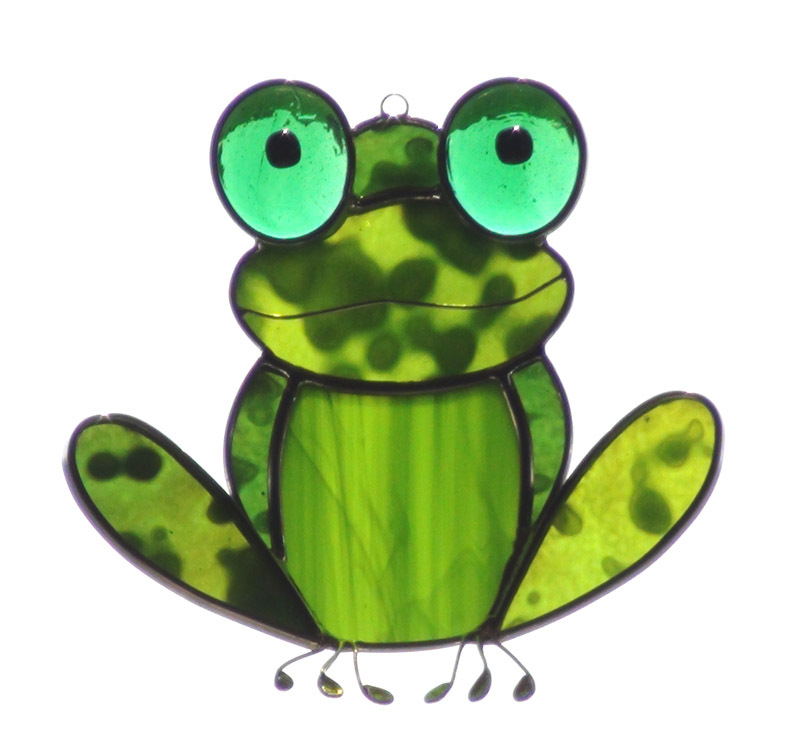 Glass globs exaggerate their big round eyes and a smaller glass nugget is glued on with a special glass glue to give each frog character. Their feet are made of wire. This frog measures 6 inches high by 5.5 inches wide.